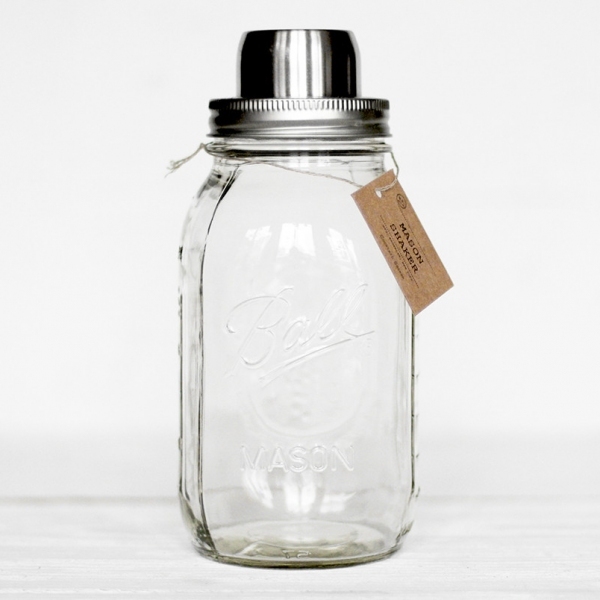 Inspired by the classic mason jar, this mason shaker is perfect for mixing up your favorite cocktails. 32 oz. glass jar includes stainless steel lid and built in strainer.